In this chapter we're going to build a block, a block that I refer to as a summary block. the amount of pieces of content we published in that month. how many times something was posted there that month. So if they want to see, okay. They've got 50 pieces or 50 articles posted in December; let's check it out. They can then click on the month. In this video Kyle will show you how to use views to create a summary list block which lists the months and years for our content, and shows how many posts were created in each month/year. 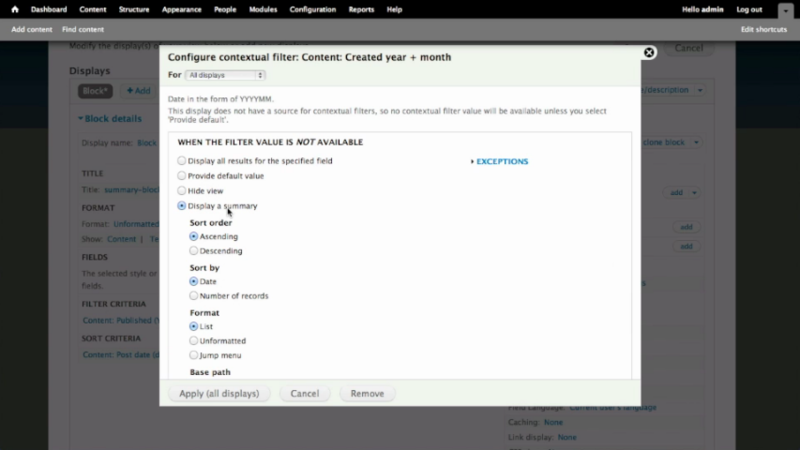 We'll be using Views contextual filters and the core date created field.